WASHINGTON, DC, November 20, 2015 (ENS) – In 10 days, world leaders will convene in Paris to forge a first universal, legally-binding pact to limit climate-changing greenhouse gas emissions. With many sticking points still unresolved after years of negotiating, completing an agreement hinges on the interaction of personalities around the table. Thousands of the world’s most accomplished climate scientists have called for a 70-90 percent reduction of global carbon emissions from 1990 levels by 2050 if humanity is to avert the worst consequences of climate warming. At the 21st Conference of the Parties to the UN Framework Convention on Climate Change, UNFCCC, November 30 through December 11 in Paris, both developed and developing countries are expected to help realize emission reductions within a framework of common but differentiated responsibilities. Understanding the climate change policies of the world’s biggest polluters – United States, China, India, and the European Union – is complex, so knowing who is influential will help. 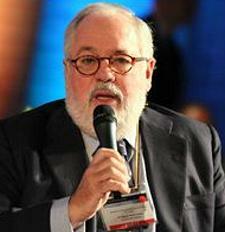 A Costa Rican diplomat, Figueres was appointed UNFCCC executive secretary in May 2010. 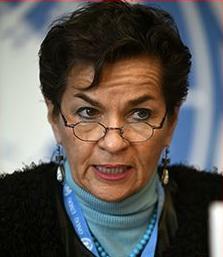 Figueres had been a member of the Costa Rican negotiating team since 1995, involved in both UNFCCC and Kyoto Protocol negotiations. Considered the founder of modern democracy in Costa Rica, Christiana’s father, José Figueres Ferrer, was President of Costa Rica three times between 1948 and 1974. Her mother, Karen Olsen Beck, was a Costa Rican Ambassador to Israel and was a member of the Legislative Assembly in the 1990s. Figueres’ older brother, José Figueres Olsen, was also President of Costa Rica (1994–1998) and a sustainable development advocate. Christiana was educated at Swarthmore and the London School of Economics. In 1995 she founded and became the executive director of the Center for Sustainable Development in the Americas, a nonprofit organization that promotes the participation of Latin American countries in the UNFCCC. Among her many firsts in the world of climate diplomacy, Figueres conceived and established the first carbon finance program in the developing world. From 1998 through 2007, she envisioned and helped establish national climate change programs in Guatemala, Panama, Colombia, Argentina, Ecuador, Honduras, El Salvador and the Dominican Republic. Today, Figueres travels the globe persuading countries to reduce their carbon emissions and sharing her vision of rapid economic growth fueled by renewable energy technology. She will need all her political experience to successfully steer the Paris negotiations. Follow Christina Figueres on Twitter @cfigueres. The COP President sets the tone of the meetings, facilitates negotiations, and chairs key sessions. 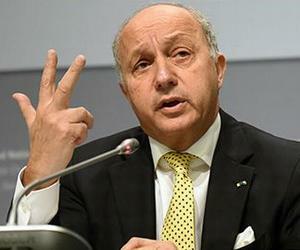 Fabius has more than three decades of French political and diplomatic experience but is new to climate negotiations. A French Socialist who has been foreign minister since May 2012, Fabius served as Prime Minister of France in the 1980s, the youngest person ever appointed to that position. Over the decades, Fabius has served as minister responsible for the budget, finance and industry in several governments, as president of the National Assembly of France and as a Member of the European Parliament. 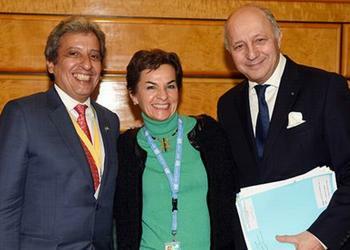 Throughout 2015, Fabius repeatedly urged the world to view climate change broadly, as a threat to global peace and security. Despite Minister Fabius’ decades of political experience, the COP presidency is a challenging assignment. Several former COP presidents have been embarrassed during the meetings, notably Danish climate and energy minister Connie Hedegaard who resigned in the middle of Copenhagen’s COP15 in 2009. A Harvard-educated lawyer, Todd Stern is an experienced political operative and climate negotiator. From 1997 to 1999 he represented President Bill Clinton, acting as the senior White House negotiator at the Kyoto and Buenos Aires climate talks. Stern now works in the State Department as chief climate negotiator. 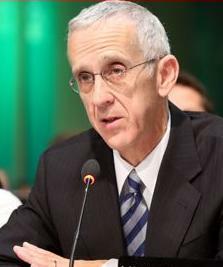 Before joining the Obama Administration Stern was a senior fellow at the Center for American Progress, where he focused on climate change and environmental issues, and a partner at the law firm WilmerHale. Given the U.S. track record, Stern and his team may have a hard time convincing COP21 Parties to trust U.S. diplomats. Besides never ratifying the Kyoto Protocol, a document leaked in 2014 describes U.S. National Security Agency spying activities both before and during COP15 in Copenhagen. In Paris, the United States may support a hybrid approach – unilateral decisions about greenhouse gas emission reductions combined with multilateral review and verification of the commitments of other Parties. Even if there is an agreement that the United States will sign, the negotiators know that the legal form is critical to U.S. participation. If the agreement is a Treaty, rather than a Decision, Amendment, or Annex, Senate approval is required. Given the current Washington climate of partisan division, ratification of a climate treaty is not likely before the November 2016 elections. 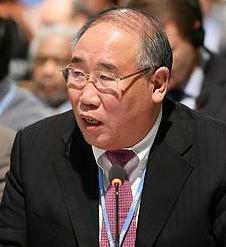 Xie Zhenhua has led China’s climate negotiating team since 2007. Born just after World War II, Xie is an engineer/physicist and a career politician. Xie’s involvement with China’s environmental and climate issues spans three decades. In early 2015, leadership of the Chinese team was in flux. Reuters reported that Xie had officially retired and the government would select a successor. In fact, Stern and Xie have known each other for a long time. Observers credit that relationship with igniting the recent climate cooperation between the two countries, particularly the 2014 Joint Announcement of climate cooperation and the 2015 Leaders Summit. 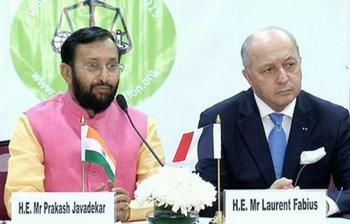 Members of Prime Minister Narendra Modi’s Cabinet, ministers Prasad and Javadekar are both new to climate negotiations with only two COP annual meetings between them. Prakash Javadekar is the son of Indian politician Keshav Krishna Javadekar, and he worked in banking and rural development before his election to Parliament. Today he serves as National Spokesperson for the ruling Bharatiya Janata Party. He is president of GLOBE India, Global Legislators Organisation for Balanced Environment. A lawyer and politician, Prasad’s presence at the talks signals India’s commitment to technology-based global warming solutions. His father, Thakur Prasad, was a senior advocate at the Patna High Court and one of the founders of the Jan Sangh, the predecessor of the Bharatiya Janata Party. 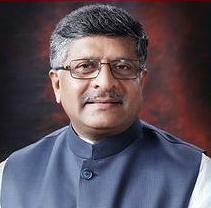 Prasad became a Member of Parliament in 2000, where he oversaw reforms in the mining and coal sectors. In 2003, he became the information and broadcasting minister. He also serves as a distinguished senior advocate at the Supreme Court of India. The big developing countries – India, Brazil, China, and South Africa – comprise a negotiating bloc, the BASIC Group. The bloc is among the advocates for funding and financial support for developing countries, arguing that the developed countries caused global warming and so they should fund solutions. 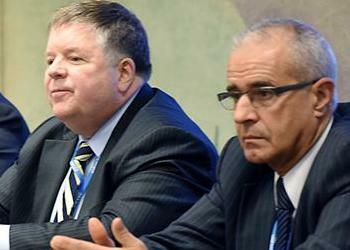 Dr. Bardram and Commissioner Arias speak for the European Union’s 28 countries. The EU is both a regional member of UNFCCC and a negotiating bloc. Members meet to agree on a common negotiating position. When the time comes for a vote, the EU can cast 28 votes as one voice, or each country can vote individually. Arias is a Spanish aristocrat and a politician of the center-right. A member of the Partido Popular, he served as minister for agriculture, food and environment in the Spanish government 2011-2014, before being selected to head his party’s list in the European Parliamentary elections. He now serves on the European Commission under EU President Jean-Claude Juncker. Environmental groups criticized his nomination to the Climate Action and Energy portfolio due to his family’s involvement in the oil industry. Arias sold several of his oil company holdings just before becoming commissioner. As energy and climate commissioner, this summer Arias launched a plan to turn the Mediterranean region into “a major gas marketplace” as part of European Union efforts to reduce dependency on Russian oil and gas. Dr. Bardram is the European Union’s chief climate negotiator and Head of Unit at the Directorate-General for Climate Action. Before joining the European Commission, Bardram served at the UN country office in Nigeria and was employed in the business consulting sector covering assignments for both public and private sector clients in Europe. 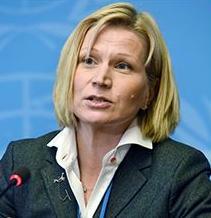 She holds a PhD in economics from Vienna University of Economics and Business. Her academic work has focused on the impacts of globalization. “By the Paris conference, we need to have a very clear understanding of how well on track we are with keeping global temperature increase within the two degree centigrade limit,” she has said. In Paris, the EU will likely pressure the developed world to match EU policies. Follow the EU on Twitter @EUClimateAction. Djoghlaf and Reifsnyder are the 2015 Co-Chairs of the Working Group tasked with negotiating the text of a new climate agreement – bridging the many divides among 196 players. In October, the group released a 34-page draft agreement with much left to be negotiated in Paris. Although they are from different parts of the world, the two men have a lot in common. They first met more than 20 years ago at early UN climate talks. Both are in their sixties, lawyers, PhDs, career diplomats, and experienced climate negotiators. After 10 years with the National Oceanic and Atmospheric Administration, Reifsnyder joined the State Department where he is responsible for U.S. engagement in issues of environmental quality, conservation, water and climate change. He works closely with Todd Stern, the U.S. Special Envoy for Climate Change. He is part of the U.S.-China Climate Change Working Group and the U.S.-China Ten Year Framework for Cooperation on Energy and Environment. Reifsnyder chairs the Environmental Working Group under the U.S.-Russia Bilateral Presidential Commission and advises the U.S. Ambassador to the UN Economic and Social Council on the Sustainable Development Goals. Dr. Dioghlaf has held positions with both the Algerian government and the United Nations, and served as executive secretary of the UN Convention on Biological Diversity until 2012.